Despite its declining hold on the global digital ad marketplace as a whole, smaller screen marketing is up. Online commerce giant, Alibaba Group Holding Inc., may find its global mobile ad market share climbing higher this year. This, despite the fact that the company’s grip on the digital advertising space is starting to slide. eMarketer’s data shows the Chinese ecommerce giant will have a smaller portion of global digital ad spend. The research firm’s prediction is that the digital ad spend drop will be around 0.9 percent to 4.6 percent in 2016 compared to the figures from 2015. That said, the mobile ad market share will be climbing at the same time. That increase will be significant, as its share will rise to 10.9 percent. Last year, that figure had been 8.7 percent. In the Chinese market, Alibaba will continue to be the leading player in both those markets. The massive company will hold onto 39.7 percent of the tremendous $27.9 billion Chinese market for mobile advertising. Furthermore, it will boost its share of digital ad spend to 28.9 percent. That is an increase of nearly 4 percent compared to 2015. The strength in the mobile ad market share growth is due to the company’s customer retention strategy. Andria Chen, an eMarketer analyst, explained that the company’s strategy to hold consumers within its entertainment and online ecosystem explain its mobile ad success. The company has been acquiring several different companies within those spaces. For instance, Alibaba purchased the Youku Tudou video streaming platform in 2016. According to eMarketer, that particular purchase may “aid sales growth” for Alibaba during this quarter. It may also help the company to assemble more complete user profiles. Furthermore, the ecommerce giant has also made investments in a number of other areas supporting growth. For example, it has raised capital for an affiliate platform for local services called Koubei. The funds came from international investors. Equally, it invested more in building out logistics operations within locations such as villages and towns that are not yet easily accessible. It’s easy to see that the company is seeking to amp up its share in more than just the mobile ad market. The Chinese company is using a new strategy that involves the use of investments to boost profits. The financial results from Alibaba’s first publicly traded quarter have now been announced and, along with those drooping figures, the company has also revealed its new strategy to inject some life back into its profits by backing investments into mobile marketing and m-commerce. 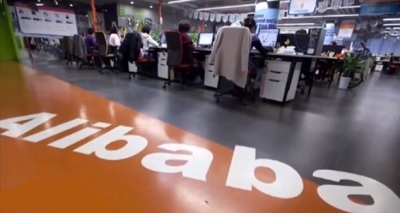 From July through September, Alibaba saw its net income drop by a dramatic 39 percent. This occurred despite the fact that the company saw a massive surge of 54 percent in the company’s revenues, based on a powerful user demand. The results that were recently released showed that the company is using a strategy that is not entirely unlike one of its rivals, Amazon, the American e-commerce giant. 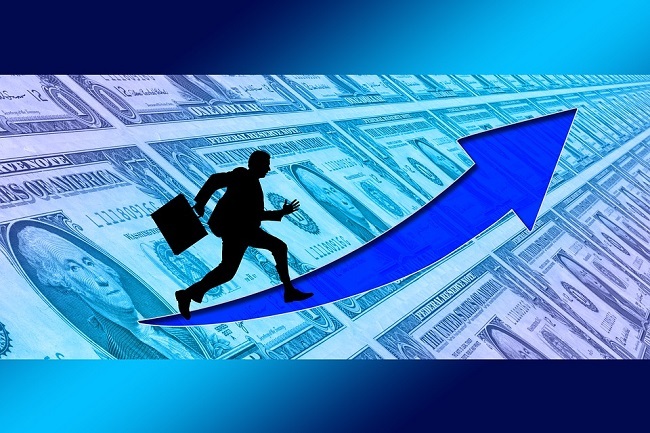 This strategy involves using investments into mobile marketing, m-commerce, and other areas within itself in order to be able to boost its own growth over the long term. In October, Amazon.com Inc. had reported experiencing a considerable third quarter loss and is also investing in mobile marketing. This was the case, even though it had also seen a growth in revenue by 20 percent. It has been pouring its money into itself, hoping to build itself up in order to achieve greater profits over the long term. In this, it has been looking to advertise over smartphones, tablets, and even streaming television, as it promotes and encourages its m-commerce side. That said, outside of that specific part of the strategy, the two companies have a very different way of operating. Amazon directly sells and distributes products and also works with third party sellers. Alibaba, on the other hand, is not in competition with merchants, nor does it carry any inventory. Investments into mobile marketing and commerce are set to become an important opportunity for earning potential by the company that is continuing its rapid growth at the same time that all of this is happening around it and within it. It will be very interesting to watch the direction that the company takes throughout the current quarter, which is considered to be a critical one within the American marketplace.